ROME (CNS) — In two long interviews with Jesuit publications, director Martin Scorsese described his new film “Silence” as a major stage in his pilgrimage of faith, a pilgrimage that included flunking out of the minor seminary, investigating other religions and recognizing that the Catholic Church was his home. Growing up in New York, “I was extraordinarily lucky, because I had a remarkable priest, Father (Frank) Principe. I learned so much from him, and that includes mercy with oneself and with others,” Scorsese told Jesuit Father Antonio Spadaro, editor of the journal La Civilta Cattolica. “This man was a real guide. He could talk tough, but he never actually forced you to do anything — he guided you. Advised you. Cajoled you. He had such extraordinary love,” the director said in the interview, published Dec. 9. A day earlier, America magazine released an interview with Scorsese conducted by Jesuit Father James Martin, who also provided advice during the making of “Silence,” a film based on the novel by Shusaku Endo. The book and film are a fictionalized account of the persecution of Christians in 17th-century Japan; the central figures are Jesuit missionaries. The film is set for a Dec. 23 release in the United States. 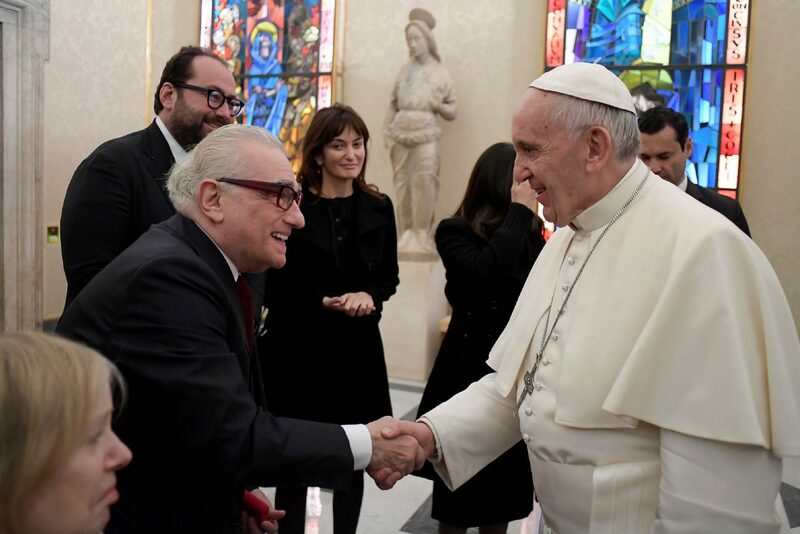 In the interview with Father Spadaro, the 74-year-old Scorsese said, “When I was younger, I was thinking of making a film about being a priest. I myself wanted to follow in Father Principe’s footsteps, so to speak, and be a priest. I went to a preparatory seminary but I failed out the first year. Father Spadaro asked Scorsese if, like Father Rodrigues, he ever felt God’s presence when God was silent.